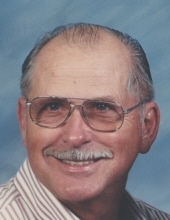 Paul Vernon Church, 85, passed away Friday, January 25, 2019 in Coeur d’Alene, Idaho. He was born on March 20, 1933 in Zanesville, Ohio, the son of Howard and Anna (Sanderson) Church. He was raised in Ohio and later moved to California with his parents. He worked for Lockheed and began his career in the lumber industry with Wickes Lumber. Also, during that time he attended Chaffey College. In 1970 he was hired by Tom Richards of Idaho Forest Industries to be General Manager of Atlas Building Center; which was in front of Atlas Mill on Seltice Way. In 1973 he was awarded Boss of the Year by the Idaho Jaycees. He used his Dale Carnegie Training to interact with employees and family. Atlas Building Center opened a new store in 1979, at the corner of Highway 95 and Kathleen Avenue. During Paul’s leadership the company grew from 7 employees to over 100. Paul considered his employees, customers, and friends an extension of his family. He retired in 1995 and moved to Lewiston, Idaho in 1998 with his wife Carol. Paul enjoyed operating his backhoe, working in his shop, repairing and maintaining equipment for the farm. He enjoyed feeding the calves, spending time fishing with his dogs, and napping with his cats. For eleven years, they traveled to Arizona for the winter; finding time to fish, read books, play cards, watch movies, and make new friends. While in Arizona, he took-up the sport of bow fishing. In 2011, they returned to Coeur D’Alene, Idaho; to be closer to family and friends. Paul had many great memories from his fishing trips to Alaska with his children, grand-children, and friends. He had many fishing stories that he shared with everyone from being the camp cook, organizer, and best fisherman! Paul loved life, loved family, telling jokes and stories. To know him was to love him. He was the patriarch of our family and will be greatly missed. Paul is survived by Carol, his wife of forty years; her son’s Todd (Jackie) and Jason (Shaylah). Paul’s sons Vernon (Martha) and David (Luana). Step-children Dave Montgomery and Lisa Greenberg. He is also survived by fourteen grandchildren; Jerry, Nathan, Matthew, Brian, Eric, Sara, Landon, Noah, Zachary, Hudson, Elizabeth, D.J., Rochelle, Michael, and six great-grandchildren. A Celebration of Life will be held at 2:00 P.M., Saturday, February 9, 2019, at Hospice of North Idaho Community Building, 2290 W. Prairie Avenue, Coeur d’Alene, Idaho. In lieu of flowers, memorial donations can be made to Hospice of North Idaho. Yates Funeral Home has been entrusted with the care of final arrangements. Please visit Paul's online memorial at www.yatesfuneralhomes.com and sign his guest book. To send flowers or a remembrance gift to the family of Paul Vernon Church, please visit our Tribute Store. "Email Address" would like to share the life celebration of Paul Vernon Church. Click on the "link" to go to share a favorite memory or leave a condolence message for the family.